Showing results for tags 'home theater'. I thought there used to be a section where everyone showed their picutres of their home theater room and or set ups. Lets start a thread showing pictures of our set ups. I know everyone likes to see pics of gear and speakers etc. Helps to spark new ideas for the rest of us! Hi! I am building a home theater system (7.2), and time has come for me to choose a receiver. It should be mentioned that I am a newbie and learning as I go. From what i've gathered, its really important that your receiver delivers the right amount of wattage required by the speaker at the correct ohm. My system consists of the top of the RP line, and it would seem that every speaker are within their watt cont/peak at 150/400w at 8 ohm. My problem with this is that I can't find any receivers at all that even supports at least 150w at 8 ohm per channel, and these receivers are around the 3000$ mark. Am I going about this "Receiver-speaker-wattage"-thing wrong or am I just in the wrong price class? Up for sale is a Klipsch SW10 II subwoofer in the black finish. It has a 10" woofer in front and a 12" passive radiator in the back. It works great, but I just don't have a need for it asking $100. I currently have an Integra DTR 50.4 that is powering a pair of Palladium 17B bookshelves and a Palladium 27C center (my sub is in flux and I don't have rears at the moment). My primary use for my setup is TV and movies (95%) and then audio (streaming from pc, spotify, or phono). My audio guy is strongly in the camp that the Integra is not fully showcasing the speakers as well as some other receivers could. He's suggesting either the NAD T787 with the newest HDMI MDC installed or an Audio Control AVR-7 or AVR-9. These receivers are definitely a step up in audio quality from the Integra I currently have, but I'm concerned that they don't focus as much on video and thus I might run into problems (looking at forum posts, people complain of HDMI handshake issues and ARC issues). He is also trying to persuade me to stay away from some Asian manufacturers (Marantz, Denon, Onkyo/Integra, Yamaha, Pioneer) as he claims the audio will not be as warm. I don't have a ton of data points to work with from personal experience. If anyone here has insights on a suitable sounding AV receiver that will mostly be handling video and dialogue over stereo sound, I would be greatful for your input. First off, I am an audio idiot. I am in the process of replacing speakers that I bought in the mid-90's. Therefore, I will apologize in advance if this all just sounds stupid to those of you who are experts in this area. I bought an OLED television and a Yamaha RX-V683 receiver as I'm trying to upgrade the sound to match. On the advice of B&H, I purchased the R-26FA floor standing speakers, as well as a center speaker. The rear speakers are still in transit, so I haven't connected those yet. But as for the R-26FA speakers, they have six posts (three sets) on the back for connecting wires. The instructions say: Some Klipsch Reference speakers come with dual binding posts that are connected by a metal strip. Do not remove this strip or your speakers will not function correctly. Keep this strip in place and connect your speaker wire to the top set of the binding posts. It is possible to “Bi-wire” a speaker that has two sets of binding posts. Please see your receiver’s manual for further instructions Ok, so I connected my receiver to the top set of posts, which sit alone. Now the sound comes out of the top of the speakers (the elevated one that lies on something like a 45 degree angle). However, shouldn't the front of the speakers be putting out sound as well? Or is that only for bi-amping? Should I be hooking up additional wires from the receiver to these other posts? Compared to my vintage 1996 speakers, this sounds pretty great, even without the rear speakers in place yet. But I have a feeling I'm doing this wrong and would like to get the most out of these. Support is closed until Tuesday, so I'm hoping someone can give me some advice. Thank you. My Audyssey microphone was DOA and I've been patiently awaiting it's replacement. I figure I can go the manual route for now. My setup is as follows and I was hoping you guys could help me with some of the finer details in terms of the crossovers, large/ small, +-db settings etc.., just to get a guy started. -Denon 4300H Receiver -Klipsch R-26 towers (x2) for my L & R (and currently setup as center) -Future state-Klipsch R-15M bookshelf (single) for center once we get our console table in place under the TV . Side Note- would it be blasphemous to have it on its side laying down to save on height? -Bose 161 (x2) for surrounds (hung on basement soffit ~6.5ft from floor nearly directly to the left/right of seating position) -Monoprice Caliber Series 8" ceiling speakers (x2) -Klipsch R-10SW Subwoofer (10") (x1) The main seating position is about 12ft from the towers and the sub, 7ft from the surrounds and 7ft from the heights. 12AWG connecting it all in wall. I’m setting this up as a 5.1.2 Atmos setup for movies and some gaming. Any advice is welcome. I’m a pretty technical individual, but not so much in the audio realm. So I can follow instructions, but coming up with the finer points myself will be a learning process. Thanks folks! Angled stand to fit RB5-2's for Atmos? I haven't been to the forums in a few years, so my knowledge isn't fresh on home audio (parent of four young kids, work, etc...). I'm about to undergo a home addition and I have a bit of a clean slate to develop a new home theater room. Dimensions on the room are not set yet, but I've got a $7k - $10k budget for my home theater. It will be 99% home theater usage, I expect little to no other usage. Because of this I'm leaning towards the new RF7s and RC64 along with ?? surrounds and dual R-115SW. I really need help on determining whether I should go pre-amp & amp or just a nice AVR. I'm leaning AVR for the simplicity, but I'm looking for suggestions here as well. Looking forward to the fantastic feedback from the Klipsch community that I remember! Hi everybody! 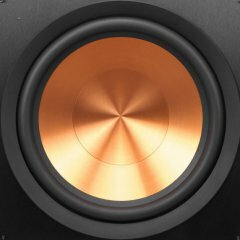 I’m trying to determine if the R-15m bookshelf speakers (that are 50% off right now!) would be suitable rear channels for my home theater setup. My primary concern is that my receiver may not be powerful enough to drive them along with the other speakers, and that I would potentially damage my speakers. The receiver is an Onkyo TX-NR555. The specs are here: https://www.onkyousa.com/Products/model.php?m=TX-NR555&class=Receiver but I’m having trouble interpreting them when comparing them with Klipsch specs. This receiver is currently powering the RP-150m bookshelf speakers as the front left/right channels and the RP-250c center channel. I’d like to add the R-15m as the 2 back channels for a true 5.1 experience but I’m not sure if I’d be exceeding recommended wattage for this receiver. Help! I asked for advice last month about how to set up my subwoofer and the advice proved to be super helpful. Thanks in advance to any advice you can give! Hey all, been a while hope everyone is doing good. I've been cleaning out the music stash and found these surround speakers. Will test the waters here and see if anyone wants them. Check my history I've bought and sold a lot of gear via the Klipsch Forums. I've even sent speakers (Academy, Heresy) over seas. Please pardon the yellowish tint on the shot from the top....bad lighting. I can assure you they are bright white. Very good shape the day they arrived they went up on a wall. When they came down they went in a box. A little dust here and there, once over with a damp cloth and they should be great. One blemish on top front corner of one speaker. $65 $55 and I'll pick up the paypal fees you pay for shipping from zip 21154. Looks like with adequate packing it will be about 20 pounds. I'll ship however you like. I wonder what Barbara Miller is up to these days? Thanks Barb!!! For sale: Near mint condition Klipsch RC-62II. I have owned this speaker for 2 years in a smoke free, child free home. Speaker has a very small scuff on right side (approximately 3/8" long) but otherwise is in absolute perfect condition. I unfortunately did not keep the original packaging but speaker will be protected well as I work for UPS and have access to shipping materials. I'm looking to get at least $300 and that's including shipping cost. Speaker does weigh just over 30lbs. Please message me if you are interested. I can send additional pictures if requested. Hello all, im new to the klipsch community. I currently have def tech speakers and have had them for a while. The klipsch line is very appealing to me. I was wondering if anyone can help. I want to get the RF 82 ii and the RC 62 ii or the 64 ii. Will these be a match or are they going to sound a little different together with the 64 ii or will it be ok? I was also thinking of a combo of one of those centers with the rb 81 ii. The system is primarily used right now for tv and movies. Some music, all types. I have a pioneer elite receiver for power right now. I am doing a 5.1 system for right now. Any help from would be appreciated. I heard the RC 62 and rb 62 and I really liked the way they make natural sound. Or should I be thinking about the premier line instead? I also wanted to add I already have an svs sb 16 ultra sub too. With all the speakers on sale right now, it's a great time to build a system!